I think I'm obsessed with this chalkboard paint! Last week I shared a recycled Birchbox box DIY using the chalkboard paint to create a fun, functional storage box. 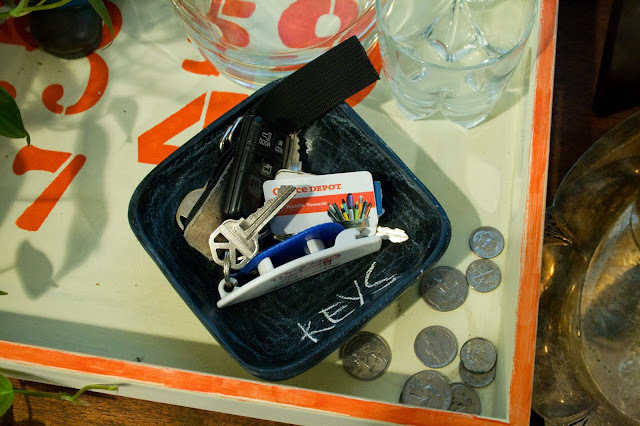 This week I'm sharing how to make a cool chalkboard storage dish for your jewelry, keys, change, etc! This is an affordable DIY too because the dishes are wooden dishes from the thrift store. I've had these dishes for ages not knowing what to do with them but knowing I wanted to paint them. 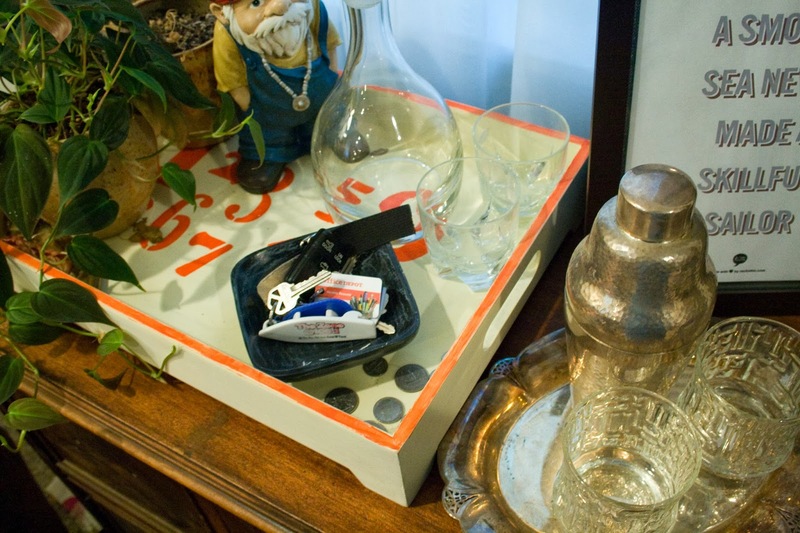 I just could never commit to a color but once I fell in love with chalkboard paint it was a match made in DIY heaven. First you'll need to step outside & do a little sanding. 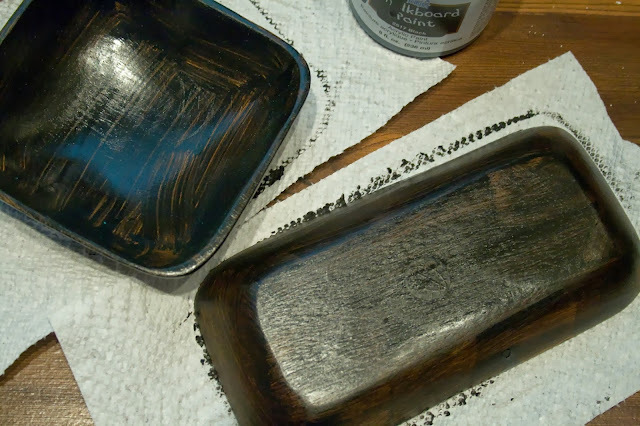 It doesn't matter if your sandpaper is new or if you pulled it from a used sheet in the garage (that's what I did) you just need something with a little grit to take off that top layer of varnish on your wooden bowl. After you've done that you'll want to rinse & dry your bowl or wipe it off with a damp paper towel to get all the dust particles off the surface. 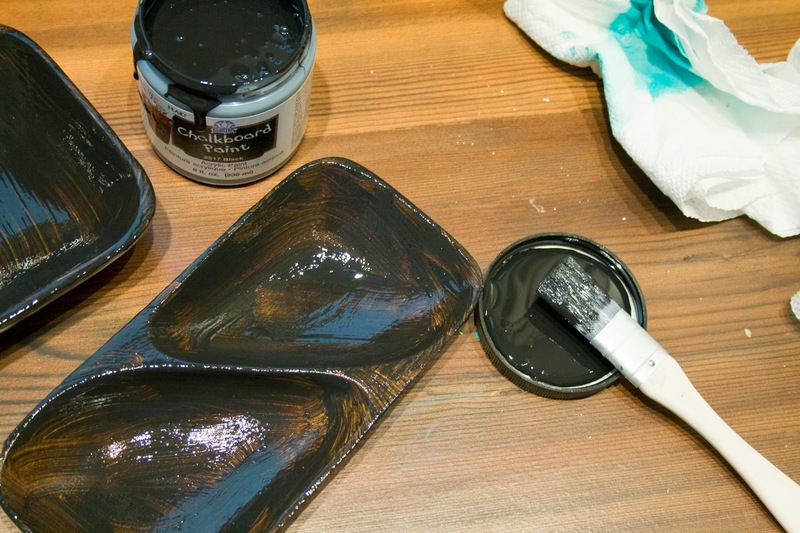 Using your brush paint an even layer of chalkboard paint all over your bowl. I did this in two steps: painted the inside first & let it dry for a bit. Then flipped it over & painted the bottom. The bottle recommends two coats, but you may need more (I found I did). Make sure you wait an hour between each coat. Once you have an even coated surface wait for 24 hours before conditioning your surface. The paint needs this time to cure. 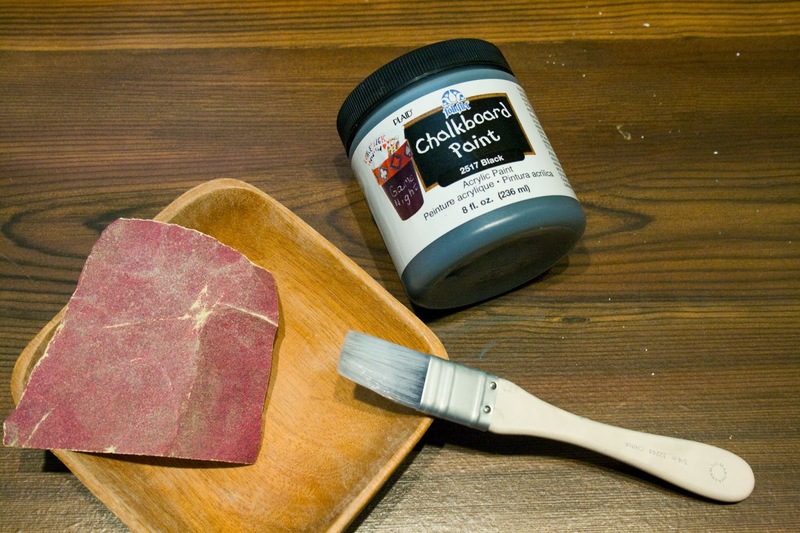 Once you've waited 24 hours take a piece of chalk & condition your surface by rubbing the chalk (on it's side) all over the painted bowl. Wipe it off & you're ready to start labeling! 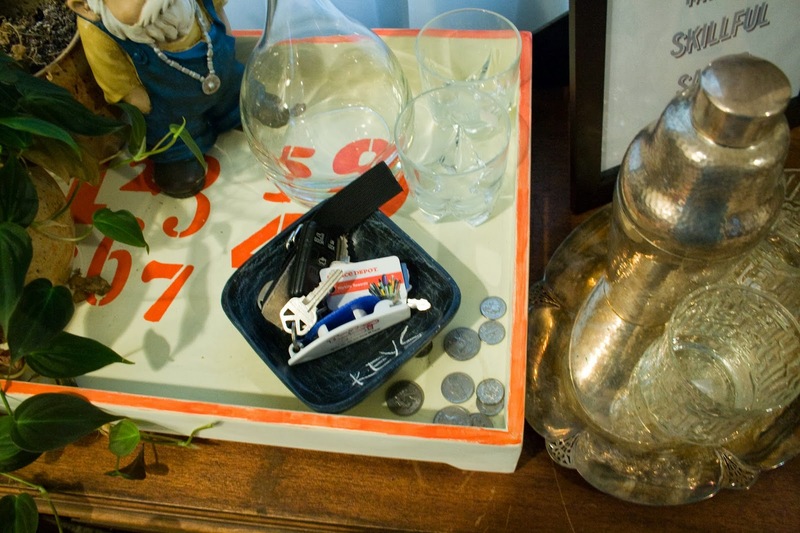 Now this dish lives in the planter box/catch all tray at the entry way. There's also a second, divided bowl, that I've written his & hers on! I'm not sure what I'm going to do with it yet. Anything else that can be covered in chalkboard paint? I want to know!